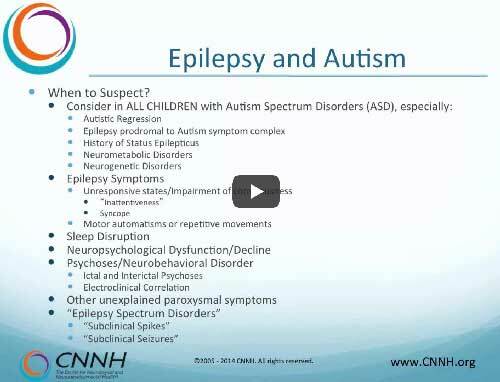 At CNNH, when epilepsy is suspected our first step is to obtain a medical history, including a detailed description of spells or other phenomena that are suspicious for seizure activity. This includes performing a comprehensive physical / neurological examination and reviewing medical and school records. One method to help to define whether someone is having seizures, the type of seizures, and the risk of having recurrent seizures is to have an electroencephalogram (EEG), or “brain wave” test. 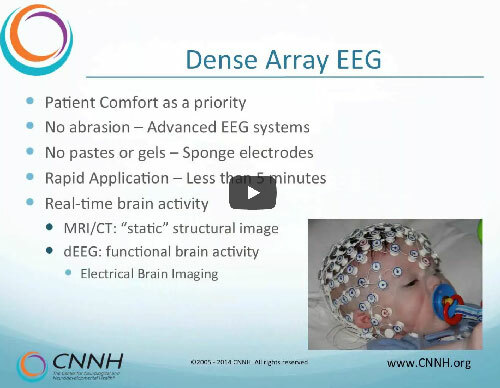 The CNNH neurotechnology team utilizes High Density EEG (HD-EEG) technology (128+ “recording electrodes”) which contributes to far more accurate evaluations and greater comfort for the patient compared to standard EEG (sparse array) which has only 18-24 “recording electrodes” placed uncomfortably on the scalp. There is also a form of EEG known as magnetoEEG (MEG). However, MEG cannot be done in an office-based setting, requires the patient to place their head within a large helmet-shaped device (“dewar”) in a magnetically shielded room, and does not allow the patient any movement. HD-EEG provides equivalent data and source localization to the MEG. Additionally, various laboratory tests are necessary if epilepsy is suspected. If there are abnormalities on the HD-EEG or neurological examination, magnetic resonance imaging (MRI) can be obtained from a referred provider. 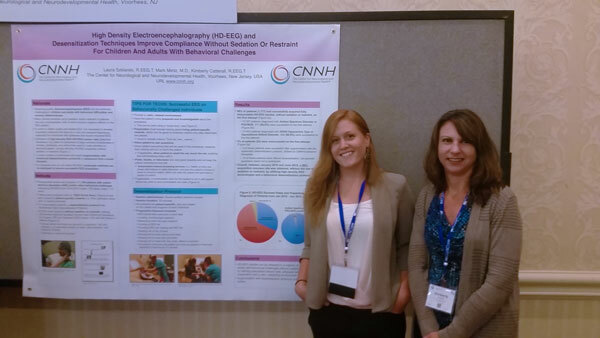 Furthermore, neuropsychological testing can be valuable in the management of individuals with epilepsy, which can be found at CNNH. Prior to introducing a treatment regimen, it is vital to obtain a proper diagnosis. There are many disorders and conditions that present with symptoms that look like seizures but are not, such as night terrors and other sleep disorders, syncope (fainting), breath holding, movement disorders, cardiac conditions, metabolic changes like low blood sugar, and more. In some individuals, seizures may be from psychogenic or psychiatric causes, and are not truly epileptic seizures. The next step is to determine if there is an identifiable, and potentially treatable, cause. In such cases, the treatment is directed at eliminating or altering the cause, and in some situations this can even result in a “cure”. It is also important to assess the individual’s overall health and lifestyle, as epilepsy will worsen if these aspects are not optimized. This includes getting adequate sleep, good nutrition, adequate hydration and avoiding excess stress. Medications used to treat epilepsy are called “anti-epileptic drugs” (AED). There are various choices that work by altering the brain’s chemistry to cause the “brain cells=neurons” to be less irritable or excitable. One must weight the benefits versus side effect risks of a given medication. There are a newer generation of AEDs that have been available in the last 10-15 years that have more favorable side effect profiles compared to older AEDs, and many AEDs in development that will become available in the coming years. Up to 70% of individuals with epilepsy can respond to AEDs, but 30% do not. There are also “rescue” medications that can be used to stop a prolonged acute, active seizure episode. Such medications are administered rectally or intranasally. There are specific dietary therapies that can be effective in epilepsy. These include the ketogenic diet, and more recently the modified Atkins diet. These high fat and protein with low or no carbohydrate diets need to be carefully monitored, but they can avoid the potential side effects of AEDs. Epilepsy surgery has proven to be beneficial in selected cases. In some cases, surgery can be curative. Epilepsy surgery has usually been recommended after medications and other therapies have failed. However, there is increasing evidence that surgery should be considered earlier rather than later in selected cases. Another option for individuals who are not adequately controlled with medications and/or other therapies is the Vagal Nerve Stimulator (VNS). The VNS is an implantable device like a pacemaker, and provides ongoing electrical stimulation to a nerve called the vagus nerve, which inhibits neuronal excitability. There has been ongoing and recent interest that some epilepsy may be the result of inflammation (i.e. immunological changes). In such cases, anti-inflammatory treatments might be of use. Likewise, seizures related to metabolic disorders can sometimes respond to certain vitamins or other nutritional supplements. Certain minerals, such as magnesium, might help for selected cases. There has been interest in various integrative and alternative therapies, such as herbal or plant substances. However, purported “natural” therapies are not necessarily safer than medications, and in some cases can be toxic. In fact, many of our drugs are derived from plants. Furthermore, certain herbs and supplements can make epilepsy worse or interfere with medications. If you decide to use a supplement, don’t substitute it for your regular treatments or medications, and always check with your health care provider, even if it is a product you obtain from a health food store. Also, websites such as epilepsy.com can provide additional information concerning integrative therapies for epilepsy. Therapy (response) dogs for providing companionship and emotional support. If there co-occurring psychiatric complications (depression, anxiety, etc) that are not responsive to cognitive behavior therapies, specific adjunctive medications might be of use. There are new and exciting therapies for epilepsy that are in development. There are a number of new AEDs with innovative mechanisms of action being studied in research clinical trials. There are some exciting devices for those with intractable epilepsy, such as “pumps” that deliver drug to the site of the epileptic activity in the brain, or new types of brain stimulators. There are also novel devices for detecting seizures before they escalate, some linked to the delivery of a medication or electrical stimulator to prevent seizures from occurring. There are also studies on the use of transmagnetic stimulation to treat epilepsy. If there is concern about the possibility of seizures, or if you or your child has epilepsy and seizures are poorly controlled, there are side effects from medications, behavioral problems, or other issues, we can help. It is important to determine the cause of a seizure. Everyone is susceptible to exceeding their “seizure threshold” under the right conditions, such as can occur from a concussion, lack of sleep, withdrawal from an alcohol binge, electrolyte (“salt”) disturbances from dehydration, and under other conditions. Such “provoked” and transient seizure events do not constitute epilepsy. However, recurrent and unprovoked seizures, or epilepsy, also have many identifiable causes. It is important to be sure that a seizure is not the result of a brain tumor, stroke, vascular malformation (“AVM”) or other structural change of the brain. 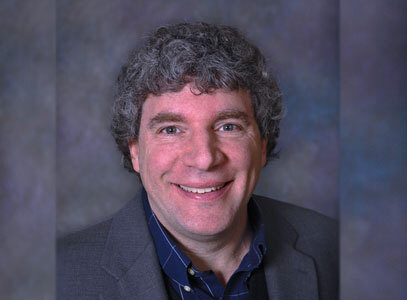 Head trauma and brain injury, including concussions, can lead to post-traumatic epilepsy. Epilepsy can also result from brain infection (meningitis), pulmonary disorders, renal (kidney) disorders, sleep disorders, complications of transplantation, gastrointestinal or liver disease and more. Additionally, seizures can also be caused from a heart rhythm problem. Some cases of epilepsy are from a developmental anomaly (“cortical dysplasia”), or from an old insult to the brain that can occur during fetal life or in infants from infections, metabolic, loss of oxygen or blood flow, or after “febrile seizures” (causing “mesial temporal sclerosis”). In many cases, there is not an identifiable cause for a seizure, or they may be a genetic predisposition. Most people with epilepsy have their first seizure as a child, although epilepsy can start as an adult. Some will no longer have seizures when they are adolescents or adults (“outgrow”), although some will have persistent seizures as adults. Many people with epilepsy have behavioral, psychiatric (depression, anxiety, psychoses) and cognitive/academic disorders and difficulties. Such co-occurring conditions can be debilitating and require therapeutic interventions. There is also a small but real risk of sudden unexpected death in epilepsy patients (SUDEP), which occurs more often in those with uncontrolled epilepsy. Therefore, it is important to be evaluated and treated for epilepsy. Seizures are defined by whether they start and/or involve one part of the brain (“focal” or “partial” onset) or whether they involve the entire brain (“generalized” seizures). Seizures that start focally can spread and become generalized. For “partial” or focal onset seizures, symptoms depend on the part of the brain involved. These types of seizures can be with or without impairment of awareness or consciousness. They usually occur on one side, but can spread and involve both sides of the body. Seizures that are “generalized” at onset can present as “absence” episodes (unresponsive staring) lasting for a brief moment, or longer. Such “petit mal” seizures might not be initially recognized as seizures, particularly in children, and may present as falling school grades or misdiagnosed as ADHD. Generalized seizures can also present as classic “convulsions”: whole body stiffening, jerking (jerk and release), often with eyes rolled upward or deviated to one side, drooling, tongue biting and on occasion loss of bladder or bowel control. Often, prior to the onset of a seizure, there can be a warning sign (“aura”), which in essence is a partial seizure. Some seizures will occur without warning. There are also certain conditions that can mimic epileptic seizures. These include nonepileptic seizures (“pseudoseizures”), tics, stereotypies, sleep disorders, movement disorders, mitochondrial and other metabolic disorders, and more. Epilepsy is a physical condition that occurs when there is a sudden, brief change in how the brain works. Epilepsy is characterized by recurrent and episodic seizures. A seizure is a sudden change or loss of consciousness, awareness or muscle control resulting from abnormal electrical discharges of the brain. Some people refer to epilepsy as a “seizure disorder”. Epilepsy can affect peoples of all races, genders, ethnicities, and nationalities. It is estimated that 2.7 million people in the United States are afflicted, and over 60 million worldwide. Of the 125,000 newly diagnosed cases per year, up to 50% are in children and adolescents, but epilepsy may begin at any age. The causes of epilepsy are varied and the diagnosis is not always straightforward. Just because a person suffers from seizures does not mean they have epilepsy. There are various causes of seizures so they can be provoked by alternative conditions. Although many individuals with epilepsy live full and happy lives, uncontrolled epilepsy interferes with normal brain function and creates serious developmental, educational, vocational, social, and psychological problems. For this reason, early diagnosis and treatment are critical. It is important to understand the symptoms & signs of this condition in order to identify and treat it. If you suspect that someone close to you may be suffering from this condition, seek medical attention because that person may need to be seen by an epilepsy doctor to test, diagnose and review treatment options. Learn how CNNH doctors and HD -EEG technology helped turn Bobbi's life around after many years without answers or doctors that listened. Where Does Epilepsy Come From? Sign up for quarterly updates on CNNH programs and events.